Plasmic Trio was conceived in 2003 by Uli Winter (cello) and Fredi Proll (drums) from Ulrichsberg and Elisabeth Harnik (piano) from Graz. 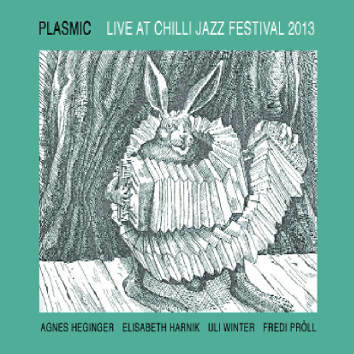 A year later it was extended to a quartet with the addition of vocalist Agnes Heginger whose amazing vocal acrobatics happened to be a perfect supplement to the authentic and distinctive sound of Plasmic. Although the music of the quartet is very dense there is time and space for microtonal instrumental sections. Uli Winter and Fredi Proll have been playing together for many years and can boast a telepathic understanding.